GE has announced it will acquire French firm Alstom's Power and Grid business for a total of $A17.87 billion. GE Chairman and CEO Jeff Immelt says it will turn the firm into a global leader for innovative new power supply technologies. “We will now move to the next phase of the Alstom alliance,” Immelt said while announcing the purchase. “For GE, the overall economics of the deal remain intact. “This transaction remains accretive in year one,” he said. The acquisition will be made in two parts; through an $A14.3 billion enterprise value coupled with $A3.6 billion in cash. The newly-merged powerhouses will form three joint ventures: Grid; wherein are the grid assets of GE and Alstom will be combined. 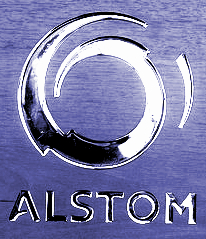 Renewables; Alstom’s off-shore wind and hydro businesses, and Global Nuclear and French Steam; built from Alstom’s production and servicing of equipment for nuclear power plants. These will be combined with the development and sales of new nuclear equipment around the world as well as Alstom’s steam turbine equipment and servicing for applications in France. In a related deal, GE says it is selling its signalling business for around $A871 million.